← The First Mobile Phone? One of the more bizarre moments in the recent opening ceremony for the Olympic Games occurred when the spotlight fell on a bloke sitting at a desk in front of a computer. Commentators on certain American television channels were unable to explain who he was or why he was there. 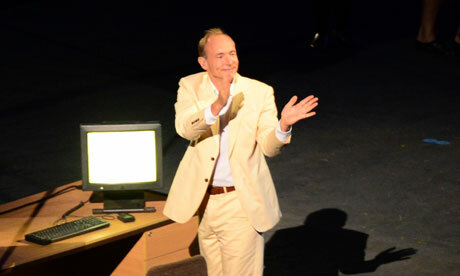 However, viewers with a telecoms or IT background might have recognised him as Sir Tim Berners-Lee, the inventor of the World Wide Web. 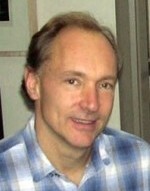 In order to gain maximum benefit from the results of the hugely expensive experiments being conducted at CERN, there was a need to store and present information in a way that overcame the incompatibilities between different computers. Email was a well established method of passing information from one computer to another, but it did not provide a public space in which information could be immediately presented to anyone who asked for it. Furthermore, email did not provide any mechanism for linking together related pieces of information to guide the user towards data that they were looking for. This entry was posted in Telecom Ramblings and tagged ARPANET, computer, DOT-DASH TO DOT.COM, Internet, Tim Berners-Lee, World Wide Web, www. Bookmark the permalink.